Making post-16 choices can be difficult and confusing. At Burford we do everything we can to make the process as easy as possible by making sure that students have all the information they need to make an informed choice about their future. Our Careers Adviser, Mrs Knowles is an important point of contact for students at this stage. Each November we hold our Sixth Form Open Evening, when students and parents have a chance to hear all about the Sixth Form from the Headteacher and Head of Sixth Form. Life in the Sixth Form from a students’ perspective is also provided by the current Head Boy and Girl. Staff and student representatives from all the A-level and Applied Level 3 courses offered are also on-hand during the evening to discuss course content and offer information and advice. Before the end of term students are invited to a Sixth Form Taster Day. This is an opportunity for them to spend a day in the Sixth Form, experiencing a range of lessons in subjects they may be considering studying after GCSEs and getting a taste of what Sixth Form life is like. 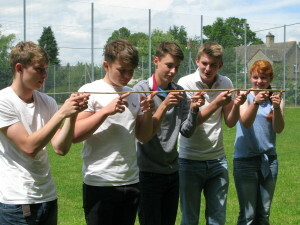 All those who are offered a place in the Sixth Form are invited to two Induction Days in June where the emphasis is on team building and enjoyment. Students are given an insight into the extra-curricular and enrichment activities on offer and introduced to the skills needed for independent learning; a key aspect of sixth form study. During January and February all applicants for the Sixth Form are interviewed by a member of the Sixth Form team. Our aim is to ensure that students make the most appropriate choice of courses and to this end we discuss subject choices, likely GCSE grades and career aims. Traditional pathway: the minimum entry requirements for students studying two or more ‘A’ Levels are two grade 6s and four grade 4s at GCSE. Applied pathway: the minimum entry requirements for students studying two or more BTEC/L3 Diplomas are five grade 4s at GCSE. At the end of June all students with an offer of a place in the Sixth Form are invited to attend the Induction days. At the end of August, with the arrival of GCSE results, the Sixth Form team is available, together with the Careers Advisor, to offer advice and guidance to those who need it.